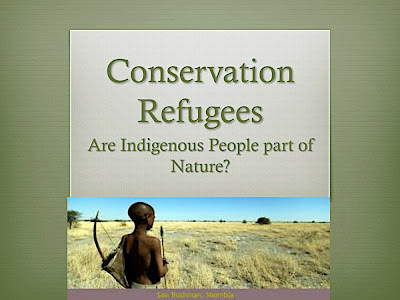 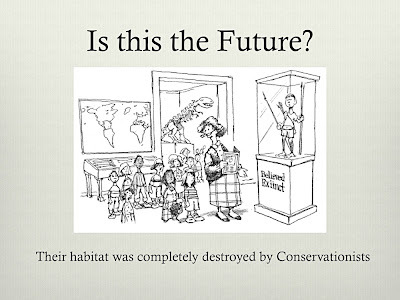 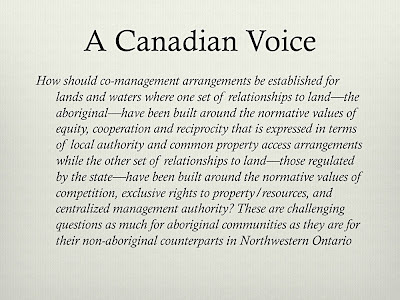 Slide 1: Probably the major question in Conservation in the future will be whether or not humans can live with nature as part of it. 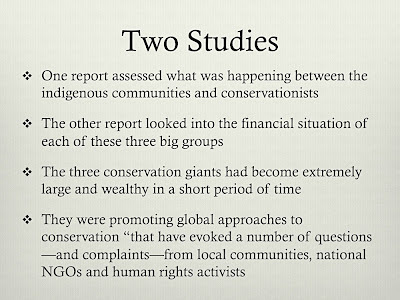 Slide 3: The big NGOs tried to keep these reports and their results confidential and they were upset when these leaked to the public. 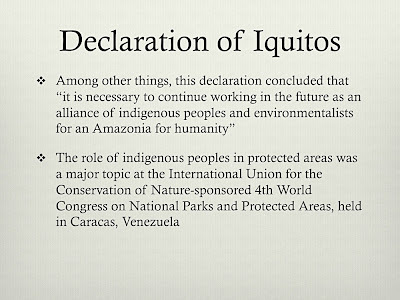 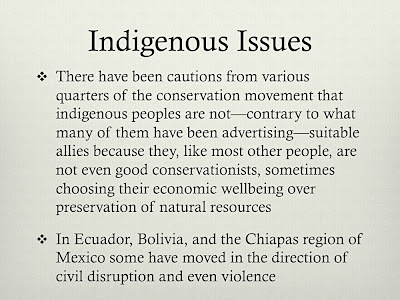 Chapin’s article was an effort to make these findings public. 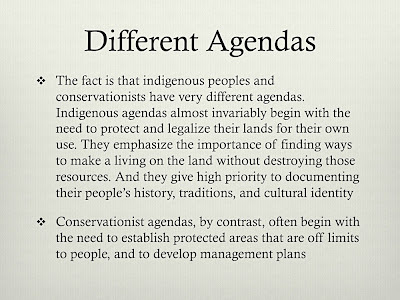 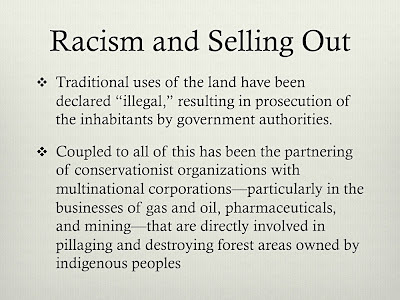 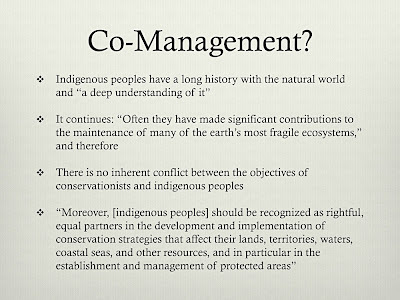 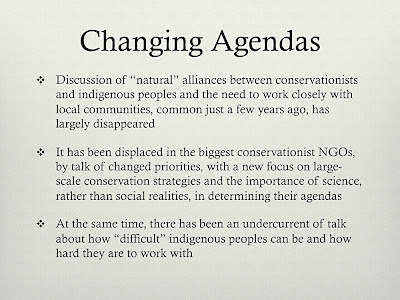 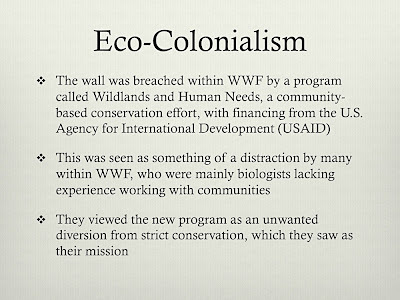 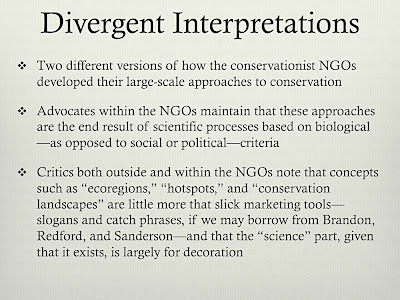 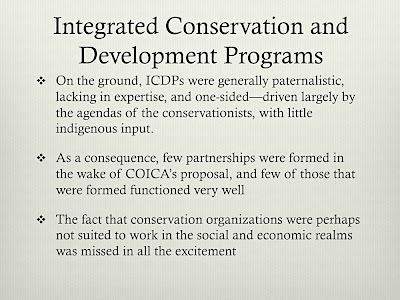 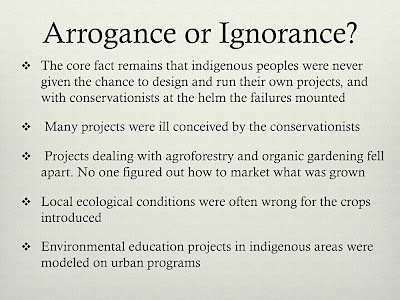 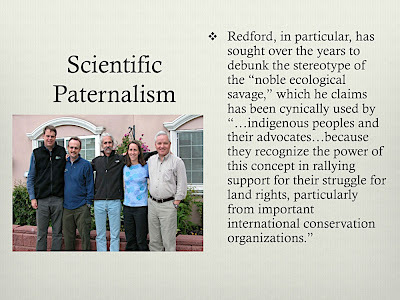 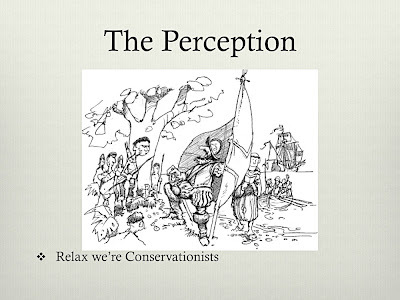 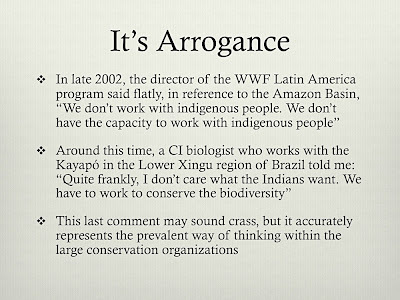 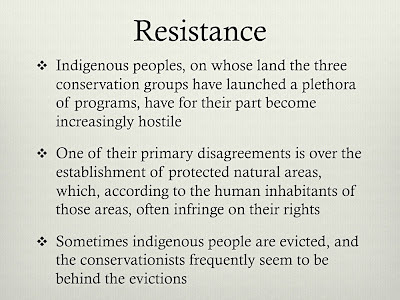 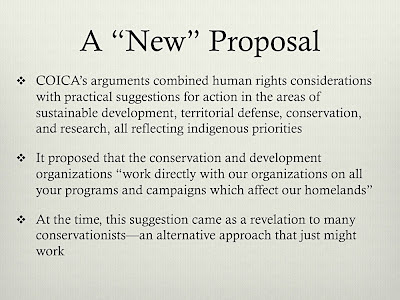 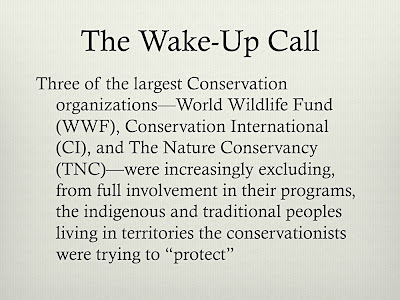 Slide 10: As money has become a bigger part of conservation, conservation groups have allied themselves with corporations that are the worst exploiters. 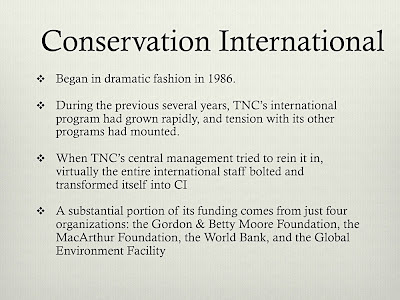 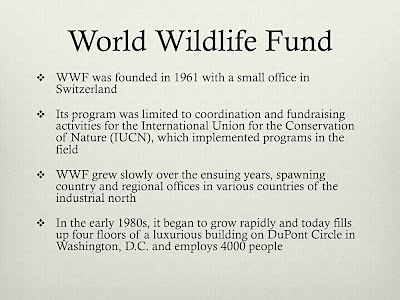 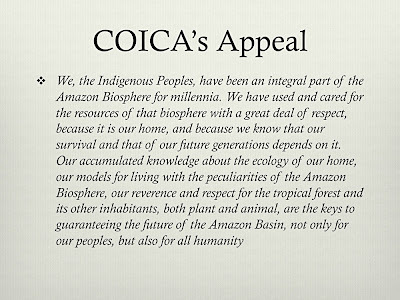 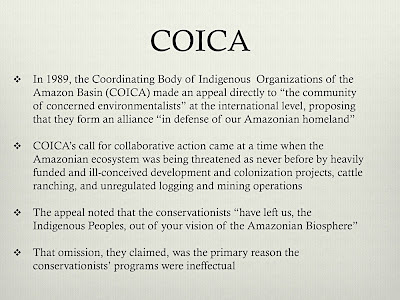 As a result, these conservationists have not been critical of damage caused by these exploiters because they don’t want to shut off the cash faucet. 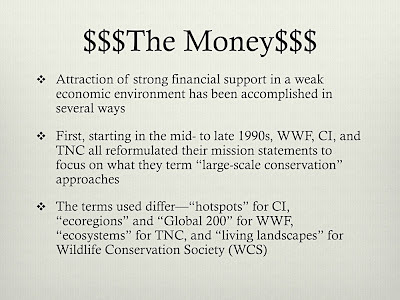 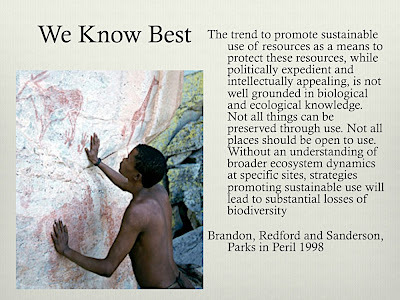 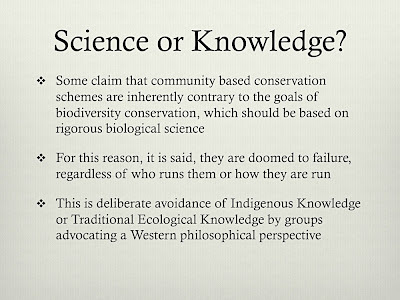 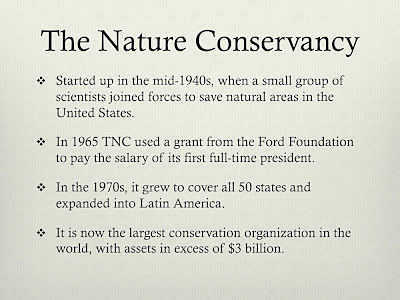 Slide 27: Whatever we may think of the science, there is no doubt that the new focus on global conservation is profitable.